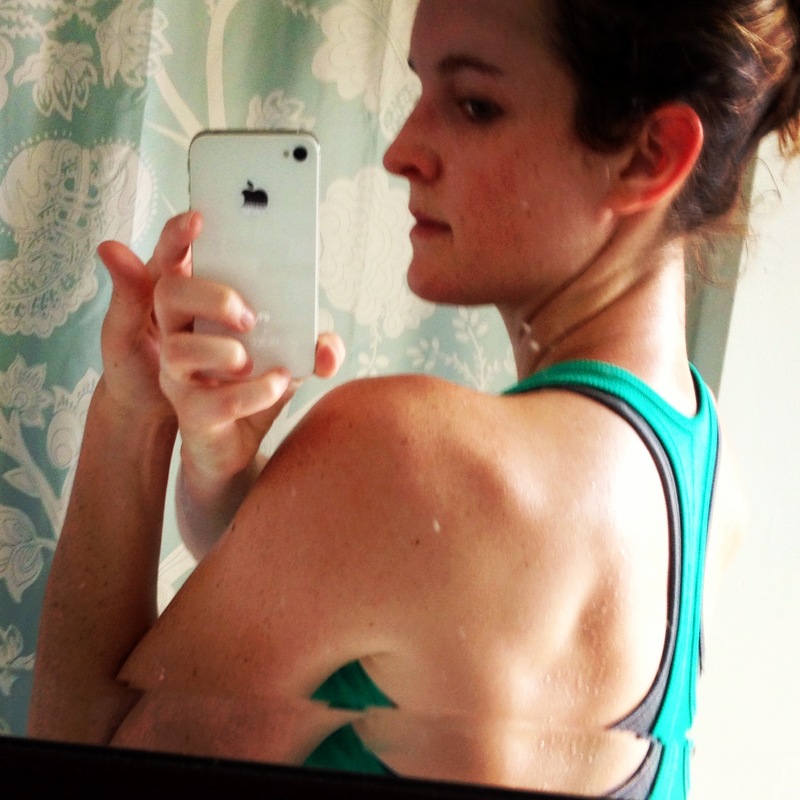 The Sweat-Fest that is Summer Marathon Training | Fit Girl. Happy Girl. Sweat literally dripping down my back. The average temperature this week in Pennsylvania has been a warm 86 degrees. That doesn’t factor in the humidity levels, and we still have three more days to go. I know I won’t be the first runner to ever complain about the weather (or not complain about the weather) but it’s kind of what we do. Why does it matter this week more than last week? Well, it’s the first week of Marine Corps Marathon training, so the weather this week is a bit of an indicator as to how my training is going to go the rest of the summer. Training hasn’t been too bad so far by any means, but I can already tell training for a fall marathon is much different than training for a spring marathon. In one word, training in the summer is an absolute sweat-fest. First off, I have to wake up early to do my runs and I rather not. When I was training for Big Sur I would do my long runs as late as 11 a.m. sometimes because that’s when it would get a little warmer out. That will not be the case this summer. I’m probably also going to be a little slower because the heat and humidity (and direct beaming sunlight) can take it’s toll during a run. I may even have to stop a few times on long runs to get some reprieve, but that’s ok. That’s what training is for. On the other hand, maybe I’ll really like summer marathon training. I’ll get my runs done earlier and have more time for doing other things during the weekend. Maybe I’ll also get a sweat tan when I’m out there running for hours on end? Either way, this summer training is going to be a learning experience. I’ll figure out if I like training in the summer or if I prefer running like a popsicle in the winter. For now, I’ll keep up with the early wake-ups, the extreme sunscreen application, and never-ending sweating until October 27 (hopefully it’ll be cooler by then!). Keep up with my training on the day-to-day by following me on Twitter@FitHappyGirl. I’m in the same boat as you are. I too am running MCM. So far it has been very hot and steamy training season. I’m even further south in Virginia and training for a marathon. The humidity is killer, like instantly sweating the minute you step outside. Luckily, I have until November so I’ll have some fall weather to pick up the slack. Good luck with your training! I completely hear you on this one. I am training for a full in november, and the heat is causing me to be a sweaty beast! I just keep trying to tell myself that it will all payoff in the fall!